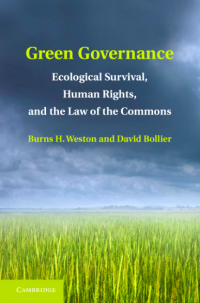 Every so often I am invited to write a piece that in effect answers the question, “Why the commons?” I invariably find new answers to that question each time that I re-engage with it. My latest attempt is an essay, “Commoning as a Transformative Social Paradigm,” which I wrote for the Next System Project as part of its series of proposals for systemic alternatives. For those of you have been following the commons for a while, my essay will have a lot of familiar material. But I also came to some new realizations about language and the commons, and why the special discourse about commoning and enclosures is so important. I won’t reproduce the entire essay – you can find it here as a pdf download or as a webpage at the Next System Project – but below I excerpt the opening paragraphs; the section on the discourse of the commons; and the conclusion. In facing up to the many profound crises of our time, we face a conundrum that has no easy resolution: how are we to imagine and build a radically different system while living within the constraints of an incumbent system that aggressively resists transformational change? Our challenge is not just articulating attractive alternatives, but identifying credible strategies for actualizing them. I believe the commons—at once a paradigm, a discourse, an ethic, and a set of social practices—holds great promise in transcending this conundrum. 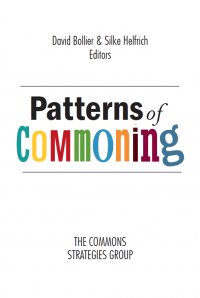 More than a political philosophy or policy agenda, the commons is an active, living process. 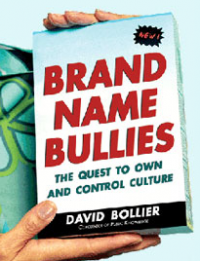 It is less a noun than a verb because it is primarily about the social practices of commoning—acts of mutual support, conflict, negotiation, communication and experimentation that are needed to create systems to manage shared resources. This process blends production (self provisioning), governance, culture, and personal interests into one integrated system. 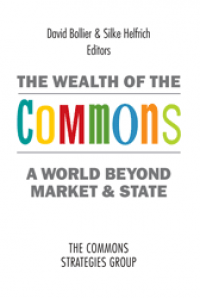 This essay provides a brisk overview of the commons, commoning, and their great potential in helping build a new society. I will explain the theory of change that animates many commoners, especially as they attempt to tame capitalist markets, become stewards of natural systems, and mutualize the benefits of shared resources. 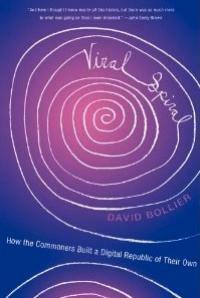 The following pages describe a commons-based critique of the neoliberal economy and polity; a vision of how the commons can bring about a more ecologically sustainable, humane society; the major economic and political changes that commoners seek; and the principal means for pursuing them. Finally, I will look speculatively at some implications of a commons-centric society for the market/state alliance that now constitutes “the system.” How would a world of commons provisioning and governance change the polity? How could it address the interconnected pathologies of relentless economic growth, concentrated corporate power, consumerism, unsustainable debt, and cascading ecological destruction? “Commoneering”: A New Coinage Best Forgotten? At the recent Economics and the Commons Conference, the charismatic Jem Bendell, Professor of Sustainability Leadership at the University of Cambia (UK), made an offhand reference to “commoneering.” The novel term is apparently a play on the terms “commandeer” and “pioneer.” I must admit, the words had a nice, solid ring to it. I think it’s the hard “eer” that sounds so good; it have a more assertive tone than the more familiar “commoning.” Commoneering almost has a certain aura of cool to it. This, of course, is an affront to the very idea of commoning. 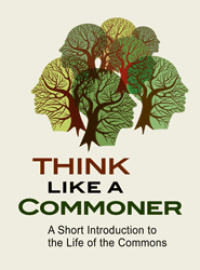 It implies that commoneering is something that is different from (and better than?) “ordinary” commoning. Commoning is something that all the talents of the entire community do together, in collaboration. Commoneering feels vaguely elitist. But to the extent that commoneering has a substantive meaning that is different from commoning, I think it may be best to simply avoid using the term. It invites needless controversy. We have plenty of serious challenges to meet without wading into a swamp of linguistic debates about a term that we don't seem to need. Why not nip this one in the bud? By the way, Jem Bendells’ talk on money and credit as a commons was terrific. I highly recommend that you watch the video of his talk here. Read more about “Commoneering”: A New Coinage Best Forgotten? Vancouver poet Stephen Collis offers us a wonderful meditation on commons as both anti-capitalist and beyond politics in a wonderful essay, “On Blackberries and the Poetic Commons.” Noting that the culture of private property is pervasive and suffocating in modern life, Collis sets out to identify what makes an already existing commons a commons. He concludes that it is somewhat a fiction that we make up. If the idea of “the market” is something that we must dream up and sustain together -- a “social imaginary” that organizes our physical and social realities – then surely we need to dream up the commons in the same way, as “imaginary alternatives.” That is the only way to summon the commons into reality. Astrid Photography, CC BY-NC license. "Blackberry brambles are the marginalia of the urban and suburban city/text. Occupying unused or underused spaces, they hold forth common abundance where private property is ambiguous or in disuse, decline or abeyance. We troll through our neighborhoods and even into the center of the city. Along easements and the sides of highways, at the ends of cul-de-sacs and in vacant lots, along open ditches and decrepit fencing, in the deteriorating zones of post-industrial wastes, the ramble entangles and marks the very edges and gaps in the regime of private property. They mark lulls and failures in capital, the moments of decay and depreciation after industrial production and before gentrification. In taking to our fences, the brambles even appears to be attempting to stand between properties, on their margins, on that thin line that is neither mine nor thine. "….We assume blackberries to be a common resource – no one in his or her right mind would pay for blackberries, though I have seen them, and scoffed, in a supermarket. Like the historical English commons, the ‘patriomony of the poor’ (Neeson, 55), the blackberry bramble is governed by certain customary rules of use. Take only what you need and leave enough for others. Those in a neighborhood have first dibs on the neighborhood patch (you don’t drive in from the outside) – unless the patch is in parkland or other non-residential spaces. The berries high up or deep in a patch are for the birds and the soil and next year’s fruit – you don’t damage the brambles to get at the difficult to reach berries.